Come discover a jewel box of fine art in RS Hanna Gallery. 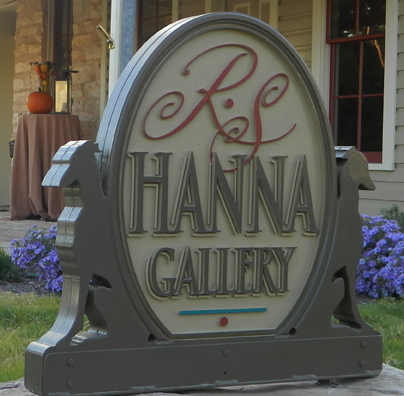 RS Hanna Gallery is proud to announce the opening of our beautiful 2nd location at 244 West Main Street in downtown Fredericksburg, Texas. Our location since 2011 at 208 South Llano Street will now promote and showcase fine national non-profit arts groups and juried shows through the year, starting with Women Artists of the West; March 1st through June 3rd, 2017. Then proudly hosting the National Oil and Acrylic Painters Society Juried Fall Show from September 1st through December 31st . Both galleries feature original works of acclaimed artists working in oil, watercolor, bronze and wood, working in color and emotion, beauty and light. 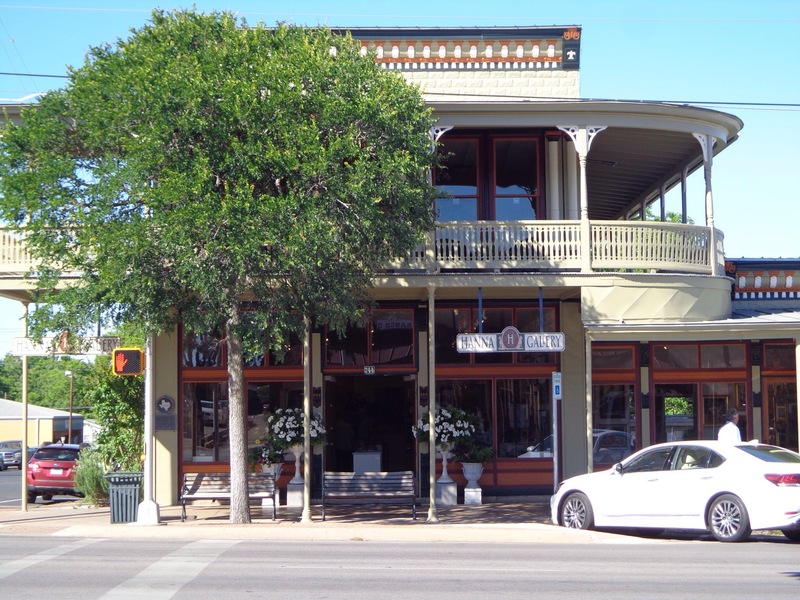 Come see the gallery during the next First Friday Art Walk, Fredericksburg on January 6th. Our featured artist is Elizabeth Robbins. Elizabeth (formely painted under the name of Pruitt) was raised in the Wasatch Mountains of Utah. As a child, her Grandmother’s would help her identify various wild flowers at their cabin above Oakley, Utah. This is where her love of flowers began. “I still have the book where I pressed and catagorized wild flowers that my paternal Grandmother helped me with.” She began painting in her early 20’s but soon children became her priority and her love of painting was an occasional hobby. As the children grew, so did her desire to expand on her art. She now enjoys the freedom to devote full time to her art. Her work is in private collections throughout the United States and in the Ella Dunnegan Museum in Bolivar, MO. Elizabeth has been featured in American Artist Magazine, American Art Collector, and was chosen as an “Artist to Watch” in the Jan 2009 issue of Southwest Art. She has won several awards including “Best Still Life” three times at the NOAPS National Exhibit and the Tuffy Berg Award at the 2008 CM Russell. Robbins is a Master Signature Member of the American Women Artists, a Signature Member of the National Oil and Acrylic Painter’s Society. Feb. 3rd 6 – 8PM. Pam Ingalls will start her demonstration @ 6PM. RS Hanna Gallery is proud to present the sophisticated cityscapes and interiors of national and international award winning artists Thomas Schaller and Pam Ingalls in their breathtaking show of the magic of everyday life. Both capture the vibrancy and immediacy of the city, encapsulated in the large architectural images or the small details of interiors, but always connect to the timeless. As Thomas Huxley said, “to the clear eye the smallest fact is a window through which the infinite may be seen”…and to see through these two talents both the large and the small the commonplace and everyday connect us to the extraordinary. Thomas Schaller, author of book, Architecture in Watercolor, is esteemed for his contemporary, light filled city renderings, alive with presence. Pam Ingalls, acclaimed artist and teacher, is loved for her rich Russian impressionistic style that renders the smallest of objects with such presence that you feel someone has just entered or left the frame of the canvas. Surprisingly, both artists convey light thrown on a subject that is simply not physical light, but a recognition of place or feeling, often evoking a playful interaction with the viewer. Each has that remarkable quality of familiarity in the exotic or a sense of a profound nature in the commonplace that sets them head and shoulders above the crowd. An inner view of the city seen through these two artists eyes…a lover’s view of life rendered on canvas in oil or watercolors, is the basis of their collectors returned love for them. Connecting one, as real art always does, to what is timeless. Artists reception and painting demonstration by Ms. Ingalls; Feb. 3rd starting at 6 p.m. The public is cordially invited. Ms. Ingalls is teaching a private class at the Fredericksburg Artists School, Feb. 2nd through 5th, an immersion into painting “liquid light” in the Russian Impressionistic tradition. Contact the school for more details at 830-997-0515. Shannon – loved the writing style on your Gallery Page! Beautifully written and expressed. Can’t wait to visit your new Gallery. You have so much experience working in this specialty field, along with being just such an amazing young woman – that I know you will do well. My very best to you and your wonderul new gallery!